Android Gingerbread - What's New in the New Android Version? 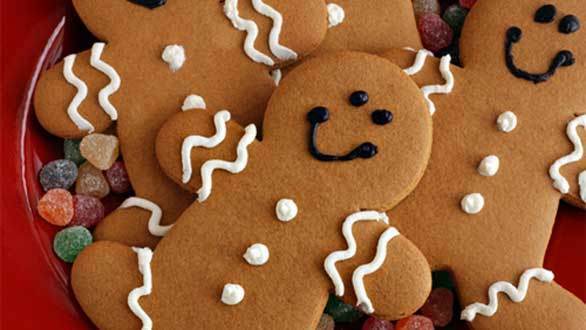 Android Gingerbread – What’s New ? Home Android Android Gingerbread – What’s New ? As anyone who holds an interest in the Smartphone world will tell you – Google, creators of the popular Android mobile phone operating system, work very hard to keep information regarding software updates to themselves – and there are no signs of this changing with their latest installment! Earlier this year, Google finally began rolling out the notorious 2.2 Froyo update to Nexus One (Google’s flagship mobile device) users, rejuvenating the phones interface and introducing new features such as WIFI tethering and SD card storage for third party applications. Now, despite the fact that most of the other android devices are still yet to see any signs of an OTA (Over the Air) update, Google are reportedly ready to release their latest development update – Android 2.3 Gingerbread to owners of some of the latest high-end devices to hit the high-street, as well as their beloved Nexus One. Although none of us really know what Android 2.3 has in store for us, we have been informed by Google that new phones carrying this version of the operating system will have NFC (Near Field Communications) capabilities. News of the introduction of NFC technology has gone down very well with smart phone enthusiasts, allowing owners of the new devices to make use of contactless technology and the ability to check-in to places without moving from their sofa. This pioneering addition to Android phones will give Google a timely boost before the Christmas season, with rumors that Apple are not planning on introducing the feature until the launch of the iPhone5 late in the new year. Although users in the UK may have to wait a little longer before they get their hands on Google’s gingerbread release, news of NFC technology and other desirable features is sure to have them licking their lips in anticipation.